A donut with health benefits? Yes, they do exist! Welcome to Anti-Inflammatory Turmeric Donuts…for your dog! 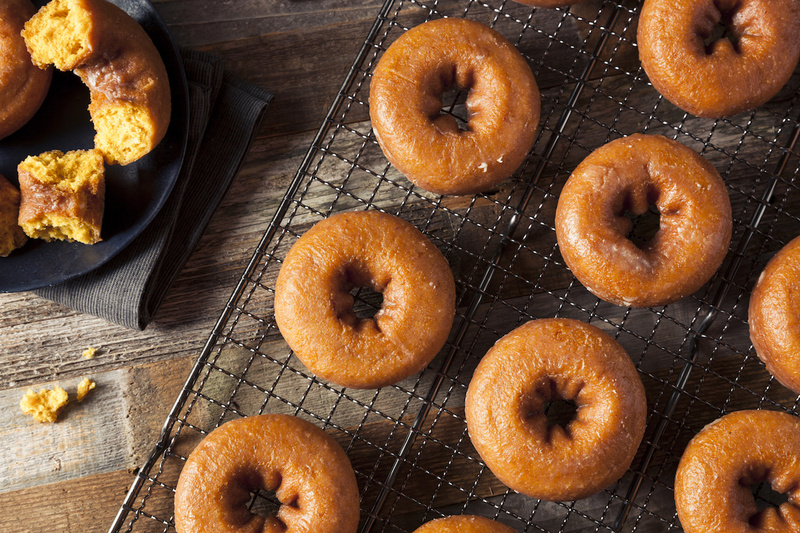 These donuts contain turmeric, which is the real superfood here, but they also contain coconut oil and are free from any added sugar, dairy and gluten. Turmeric holds some incredible anti-inflammatory properties that are great for both humans and pets alike. It also holds natural antibacterial properties, can help support digestive health and may even be able to help protect the body from cancer due to its anti-inflammatory properties! Talk about a superfood. Coconut oil is rich in healthy fat and is excellent for our pet’s skin and coat. It also contains lauric acid which is great for the immune system. Flaxseed replaces eggs in this recipe to accommodate pets who suffer from egg intolerance. Flaxseeds are rich in alpha linolenic acid (ALA), an essential omega-3 fatty acid that contains anti-inflammatory properties. They are also an excellent source of fiber. Start by preheating the oven to 350 degrees F and greasing a donut pan with coconut oil. Prepare the flax egg by adding the flaxseeds and water to a bowl. Stir and allow the mixture to sit out for about 5 minutes. Next, add all the ingredients to a food processor and blend until smooth. Pour the mixture into the donut pans filling them up about halfway. While the donuts are baking, prepare the frosting by whisking together the goats milk and pumpkin. Once the donuts are cool, remove from pan and top with frosting. Add an extra sprinkle of turmeric if desired. Try making these donuts so your pet can be a part of Sunday brunch or your weekly breakfast routine. They will absolutely love you for it and their health will benefit as well! Nutrition Facts Labels: What Does it All Mean?